A poorly managed AdWords campaign will quickly become a money pit – we’ve seen so many businesses spend far too much money chasing keywords that fail to convert. In this blog, our co-director Danny Hall will show you how to make your campaign work harder and hopefully reduce your advertising spend. You have probably searched Google and seen adverts appear that seem almost random and totally off topic. You may have even mocked a company for wasting their money displaying an advert to you for such an irrelevant search. Are you sure that your AdWords campaign is not producing a similar response? Many businesses are making this very mistake when using AdWords. Businesses chase the most popular keywords, often after running the AdWords keyword tool, and never analyse their campaigns to determine if these keywords are performing well. For every keyword phase that the Google AdWords keyword tool recommends, there are thousands of businesses competing. This pushes up the prices and reduces the chances of being seen. Often, these phrases are overly generic. They work great as a search engine phrase, but do not entice people to click adverts. Before making changes to your AdWords campaign, it is important to get to grips with the concept of conversion metrics so that you can monitor how the changes you make affect your AdWords spend and clicks. Although the goal here is to optimise your AdWords, you won’t want to lose revenue as a result. If no location is set in an advert, Google may display your advert to anybody in the world. This can result in your website appearing in front of people who will never order from you – you may even state that you do not deliver to their geographic region. Related: Have Google’s Recent Algorithm Updates Really Improved The User’s Search Experience? In your AdWords campaign settings, change the location option to “people in my targeted location”. This is an essential tool for businesses that only serve a local area. AdWords largely determines the price and position of adverts with the Quality Score, which is an advanced algorithm that analyses the expected click-through rate, ad relevance and landing page quality, and combines this with the big amount of the specific keywords. When setting up a campaign, the default setting is to allow Google to set bids to maximise clicks. This can be risky, as you may start to pay more for your clicks than they are worth. If you are not making a profit from the campaign, there is really little point in doing it. Adjust your bids manually and check how well your adverts are performing. Often, AdWords will tell you that your bid amounts is too low, but in reality it will still be sending you converting referrals. Many keywords may bring in traffic but they will fail to convert. 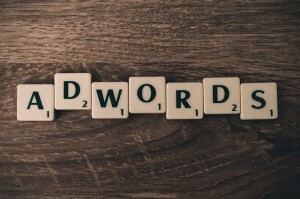 AdWords will report which keywords are performing best. 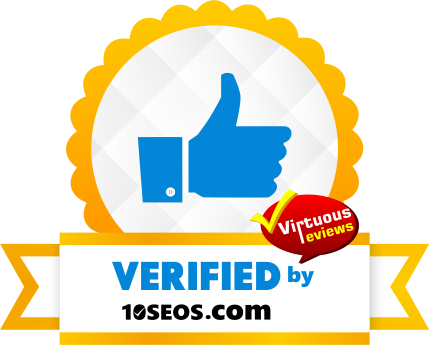 You will probably find that many if the keyword phrases that result in traffic are not converting well. To combat this, you can turn off these keywords by including them in the Negative Keywords list. AdWords has a habit of suggesting keywords that fail to perform well. You need to match your keyword bidding with your brand and product to ensure that your advert only shows when people are searching Google for your specific services or products. Unless you specify a time, AdWords will run all day. This can work well for some businesses, but certain customers will be more likely to search at different times of the day. By allowing your adverts to appear all day, you may be competing for business using keywords that will never convert. For example, most B2B searches will take place during office working hours, whereas most ecommerce enquiries will happen in the evening, or around lunch time. Although your website should be mobile friendly, if it is not, there is little point in allowing your adverts to display on smartphones and tablets. Save your money by selecting desktop only. Some research has found that most people are still using desktop computers to purchase online. Mobile phones are rarely used for complex eCommerce transactions; this is especially true for B2B transactions. Most people only display their adverts with the Google search results pages, but there are huge opportunities in Google’s Display Partner Network. This is the network of websites that run Adsense. Often, clicks on the partner networks can be just a few pence, especially if the advert is low on the page or on a non-competitive page. If you require any help with setting up your campaign, contact FSE Online today. You can learn more about our Pay Per Click Campaign Management services online.